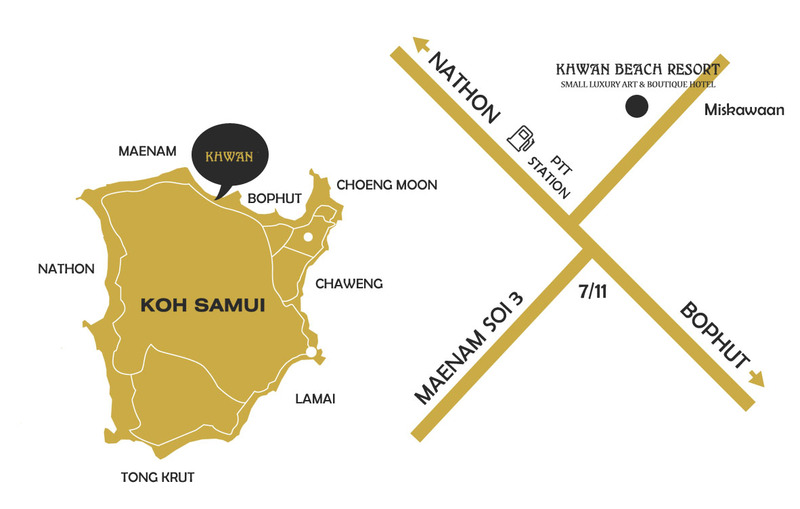 Located in the North of Koh Samui, Khwan Beach Resort is closed to every shop, restaurant and bar of Maenam town center. Attractions in the surrounding of Resort Khwan Beach Resort Samui include Maenam night market on Thursdays (300m), Mae Nam lively town center (200m), Fisherman’s Village (3.9 km). Chaweng Nightlife & Samui Central Festival Mall is only 15mns. 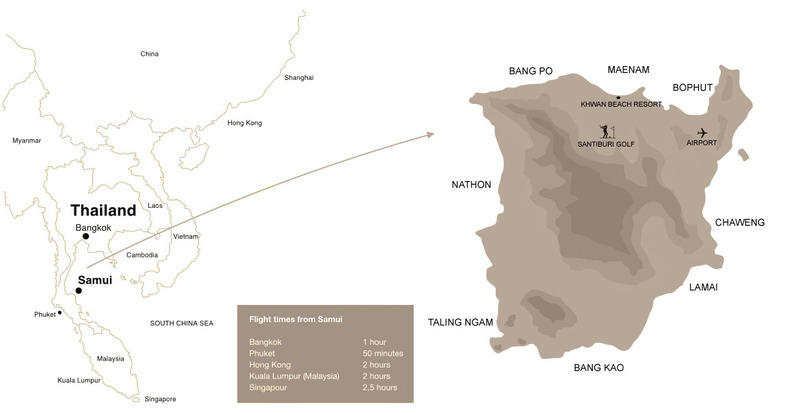 Koh Samui is only 1h from Bangkok and 50mns fromPhuket. There are daily direct flights to Singapore, Hong Kong and Kuala Lumpur. The international and domestic companies : connected flights to international airports. AIR ASIA / FIREFLY / NOK AIR : Daily flights to Surat Thani with Ferry Boat included to Ko Samui. All in one tickets online.